Sunrise proudly presents a unique solution for Customer support addressing the troubleshooting problems faced at the client side using backend database along with our patented solution called AV book where in Audio/Video/Text are synchronized. Animated videos with corresponding text in multiple languages disseminated thru secured video streaming technology will guide and assist your customers for trouble shooting. This will reduce the load on your customer support staff, eliminate physical visit in many instances and provide 24x7 assistance to your customers. Thus, it is a much cheaper and efficient troubleshooting solution as compared to the traditional human trainer based troubleshooting solution. 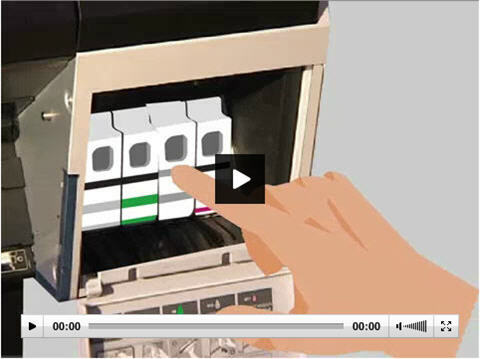 These animation based e-learning videos can be downloaded at variable bandwidth speeds from our streaming servers, thus, providing great convenience and relief to the customer. These AV books are based on our patented concept of Audio, Video, and text synchronization and provide great flexibility and ease to the user for obtaining product based information. 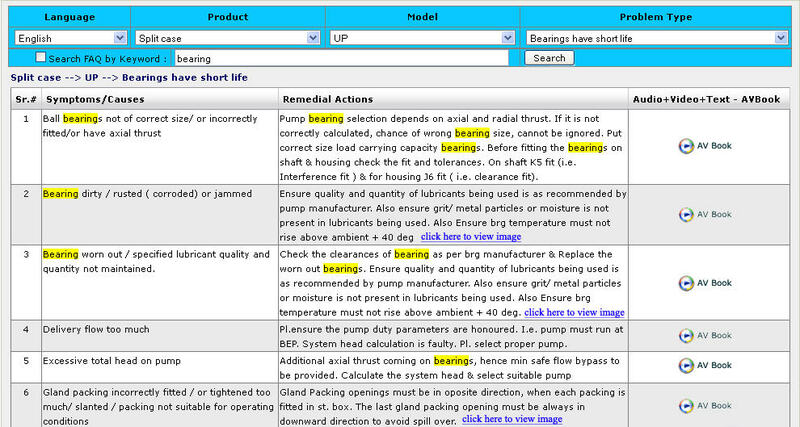 Users have to just select the product, model and language to list down FAQs under relevant problem category. Solution part contains symptoms and associated remedial action associated with that symptom. Keyword search facility is also provided within FAQs to list relevant solution instantaneously. Our log based monitoring system will also monitor and maintain log for each FAQ user’s navigations. This will enable organization to pin point the problem area in a particular product and, in turn also improve the efficiency of manufacturing process. Our Clients have found the system very convenient and user friendly for customer support and we have received the letter of recommendations for the same.